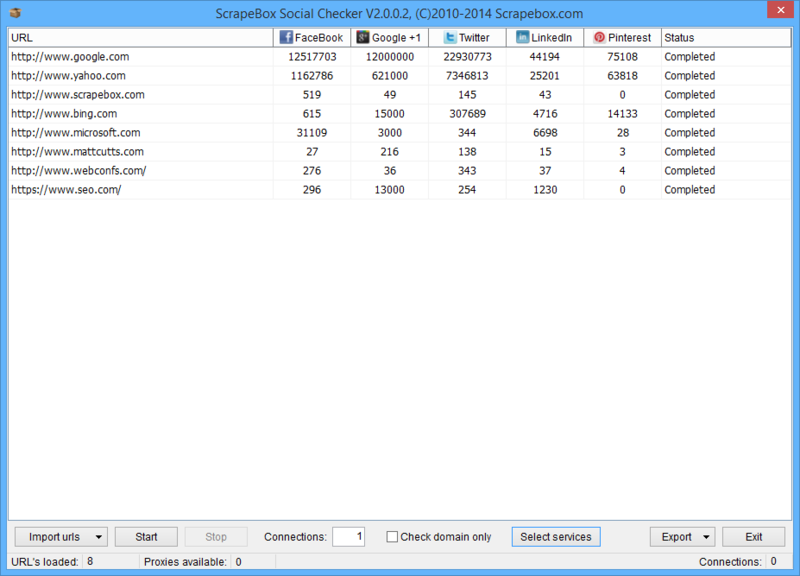 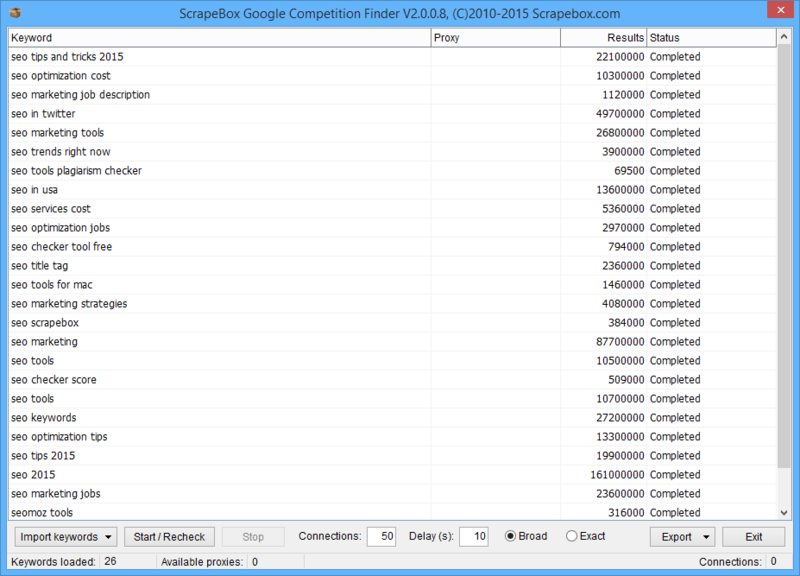 ScrapeBox currently contains 33 free addons as well as the dozens of features that can perform a variety of tasks, these can be downloaded from within ScrapeBox. 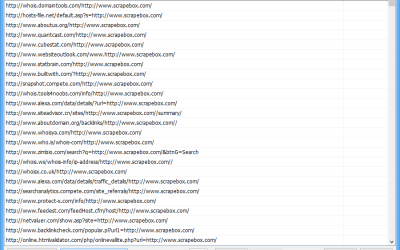 So by purchasing ScrapeBox you have lifetime access to all the addons below. 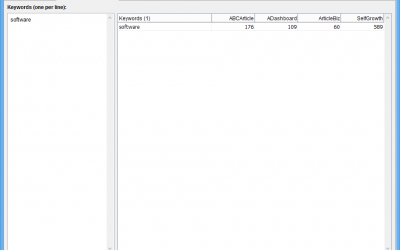 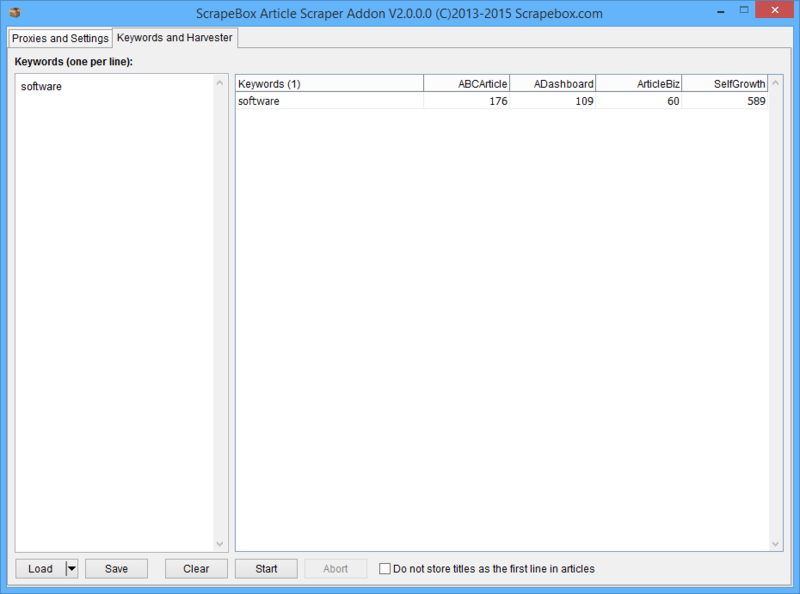 The addons can be downloaded in ScrapeBox by clicking the “Addons” menu which will bring up the window below containing the list of available addons and their versions. 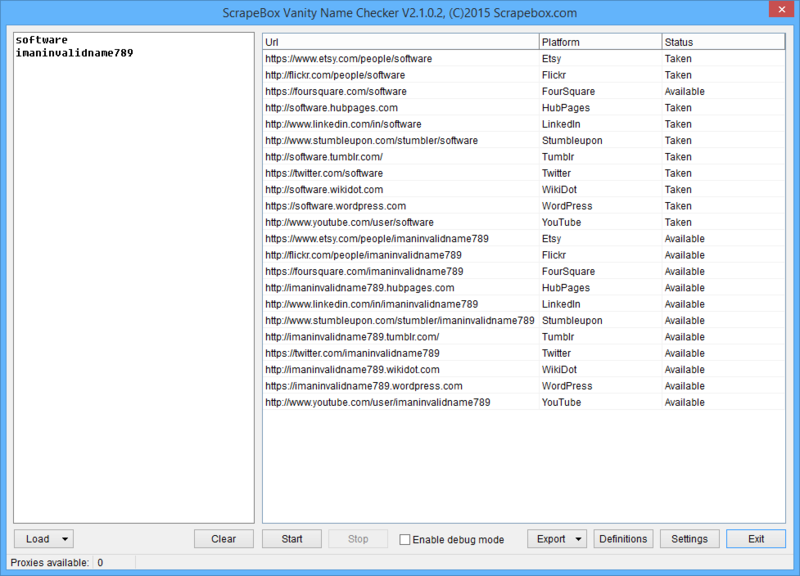 Then simply select the addon and click Install and it will be added to ScrapeBox. 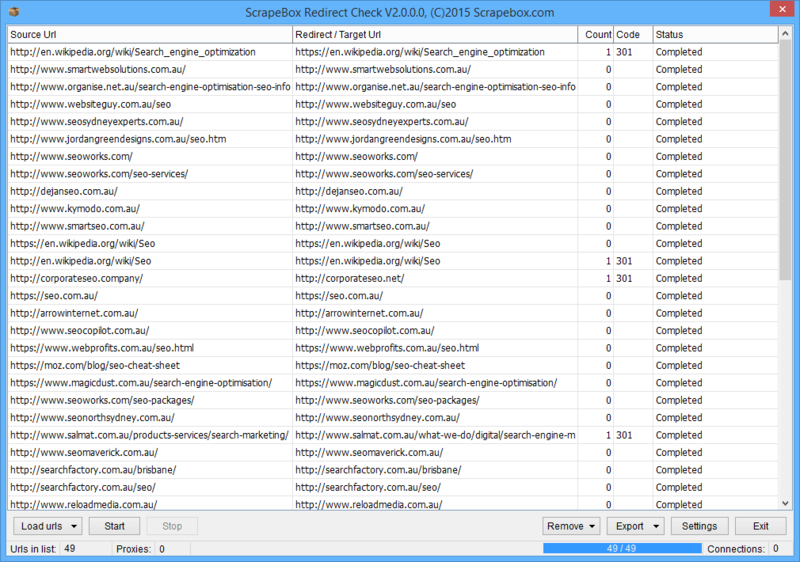 Also at the bottom of this page are 3 stand-alone tools marked (Free) and these are available for everyone, even if you do not own ScrapeBox. 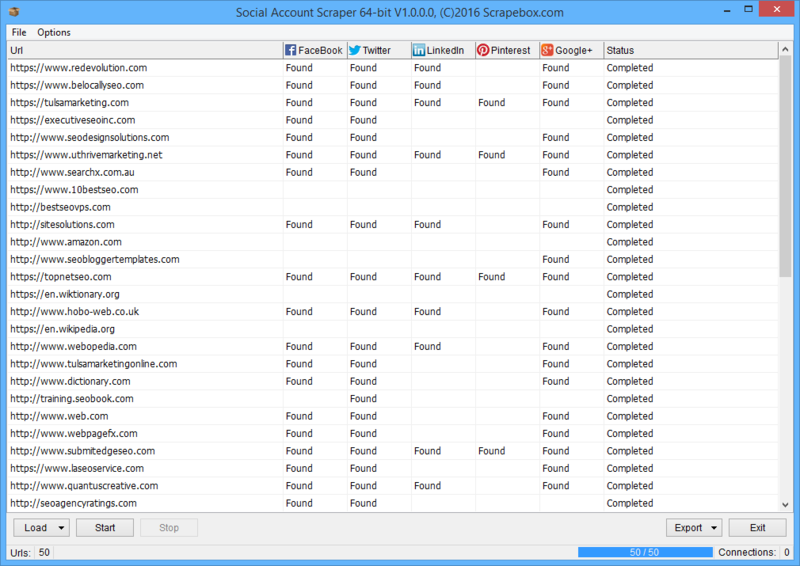 You can also view video tutorials for many of the addons on our YouTube Channel where we have over 100 video’s covering ScrapeBox, the Addons and Plugins. 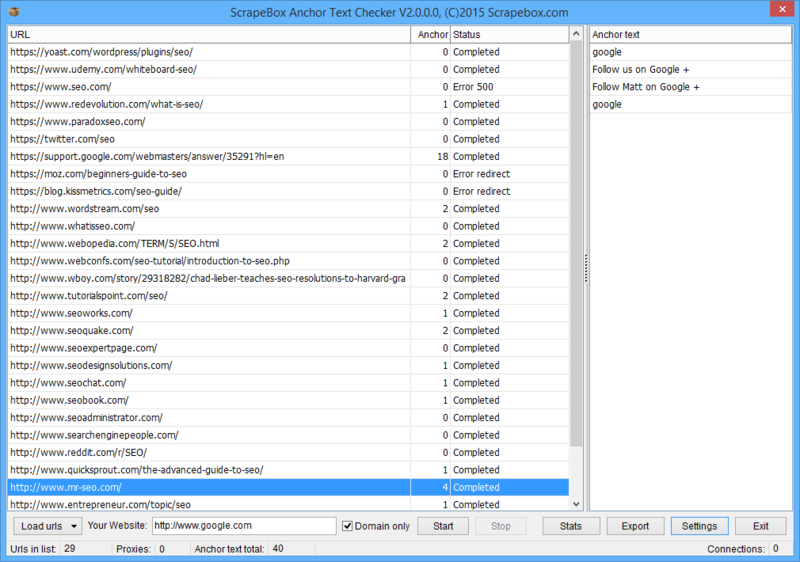 The Anchor Text Checker allows you to scan your sites backlinks to see and analyze the anchor text. 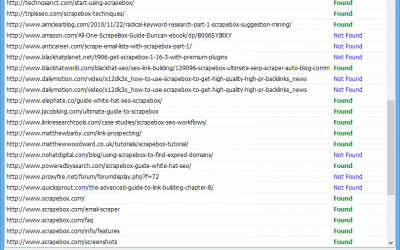 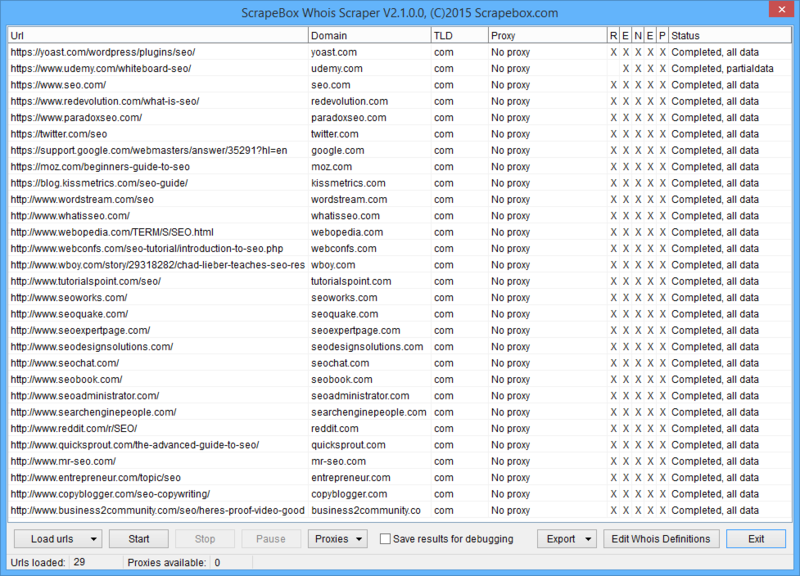 Scrape Articles from a number of article directories with the free article scraper addon. 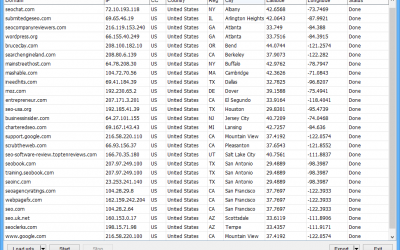 With the Bulk Domain Resolver you can resolve the IP, Country, City and co-ordinates of domains. 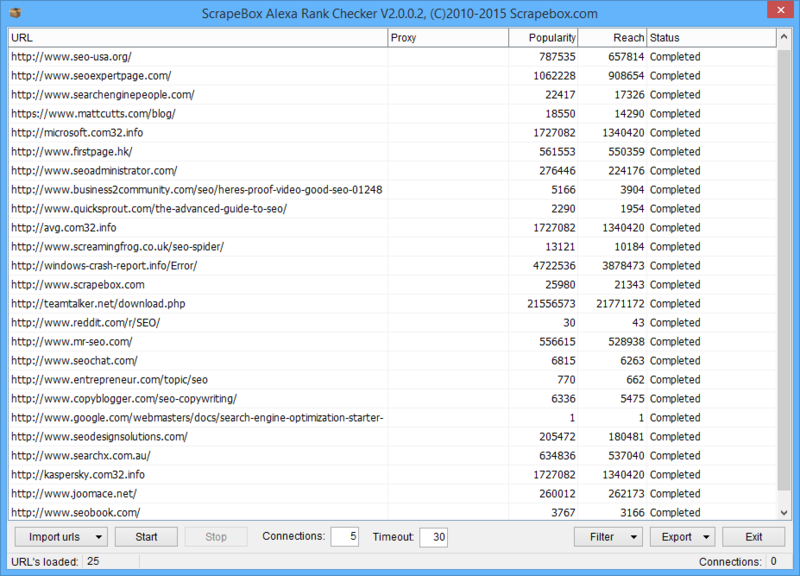 The Mass Alexa Checker Addon allows you to bulk check the Alexa rankings for a list of websites. 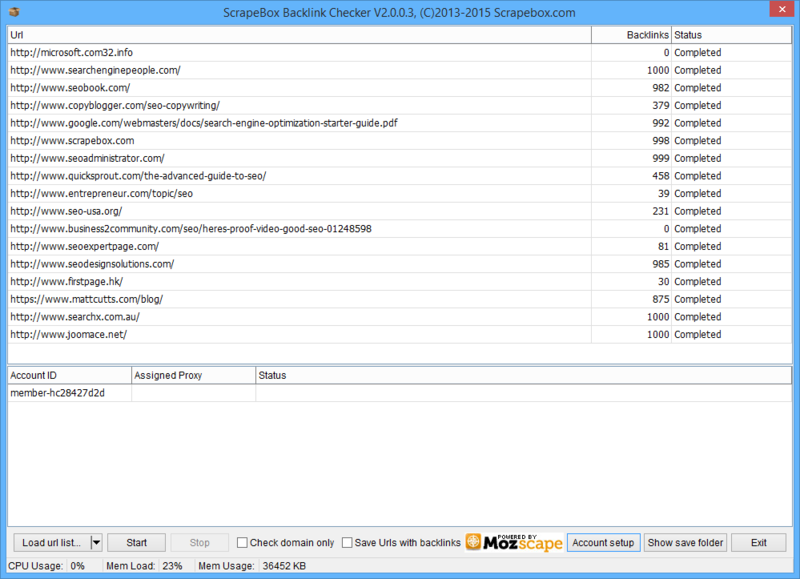 With the Mass Backlink Checker you can fetch your sites or competitors backlinks for analysis. 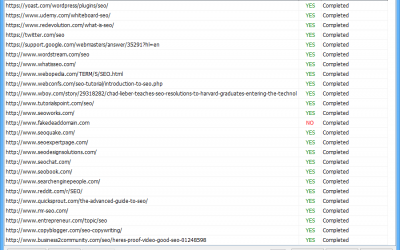 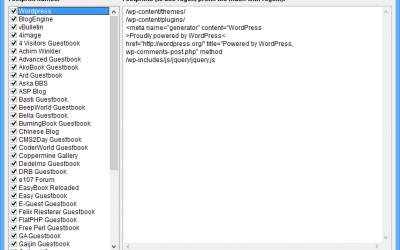 If you need to check a list of domains to see if the PageRank is fake, then this free addon can do it. 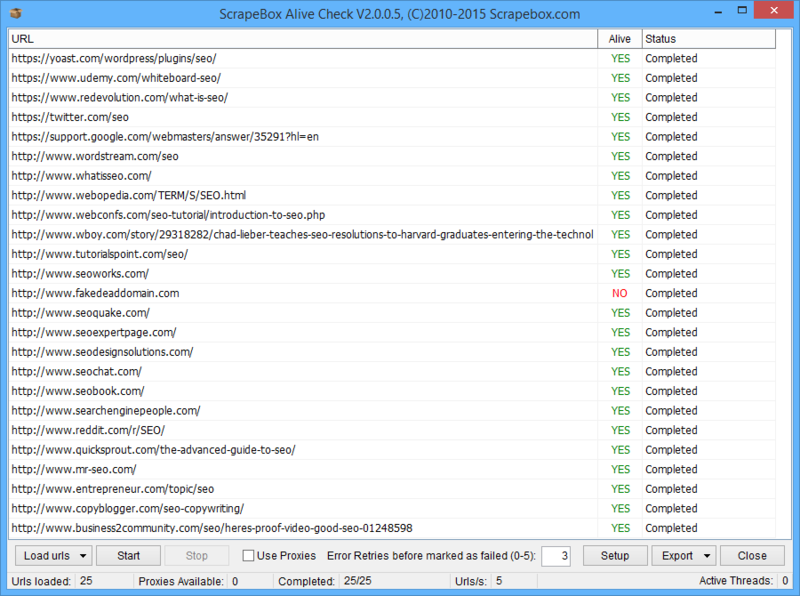 The Alive Checker Addon enabled you to scan a list of URL’s or Domains and report if they are Alive or Dead. 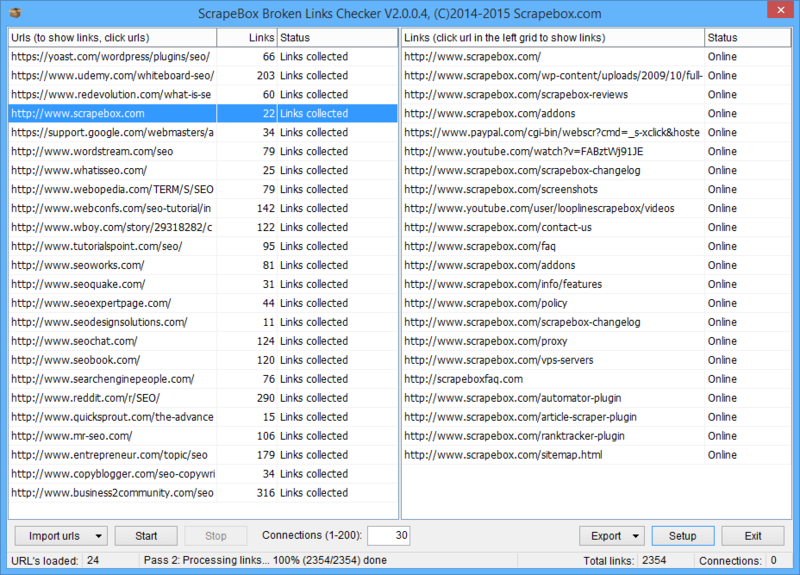 The Broken Links Checker helps you find broken links on your sites, or find expired domains for registration. 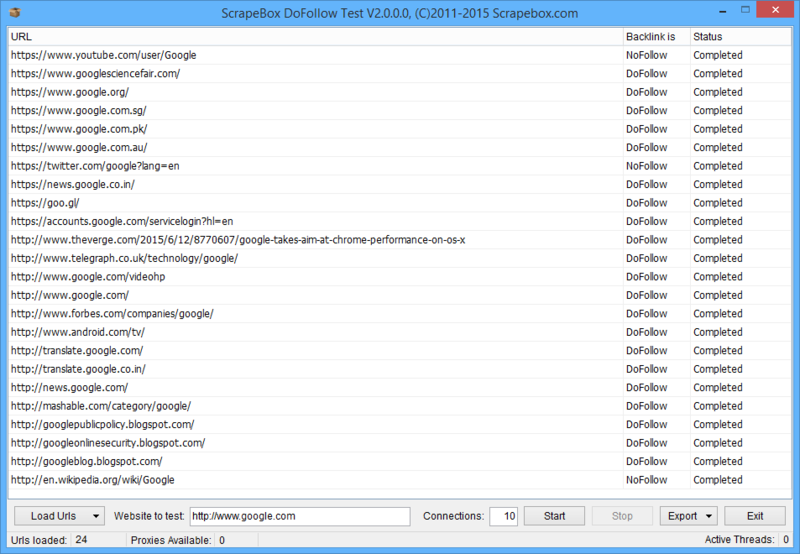 Fetch the last cached dates of all your URL’s from Google to find potential problems using the Cache Data Extractor. 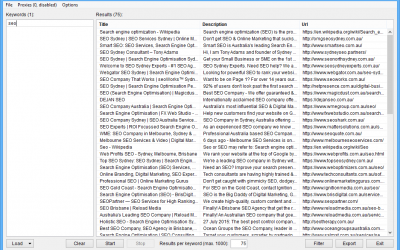 Fetch the amount of search results for your keywords in broad or exact match to find the competition. 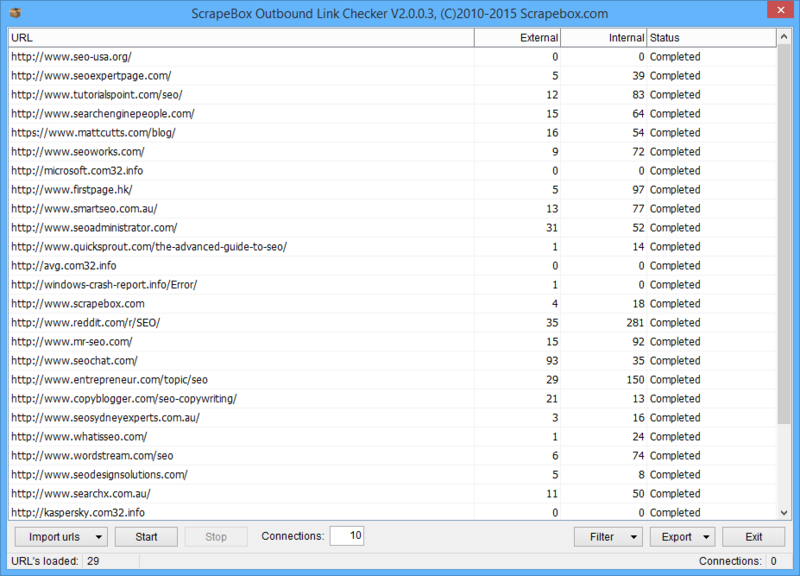 Clean up URL lists by scanning them with the malware and phishing filter addon and remove bad domains. 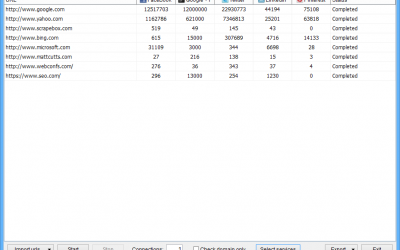 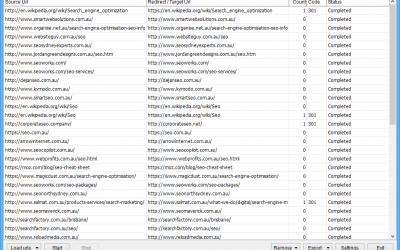 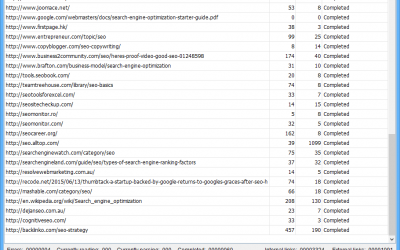 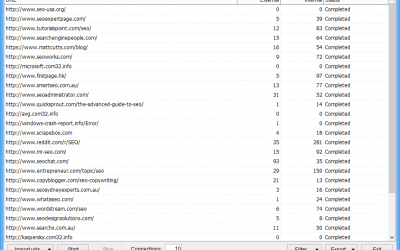 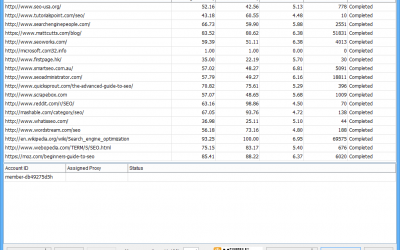 Scan all your pages internal and external outbound links when doing SEO audits and create Excel reports. 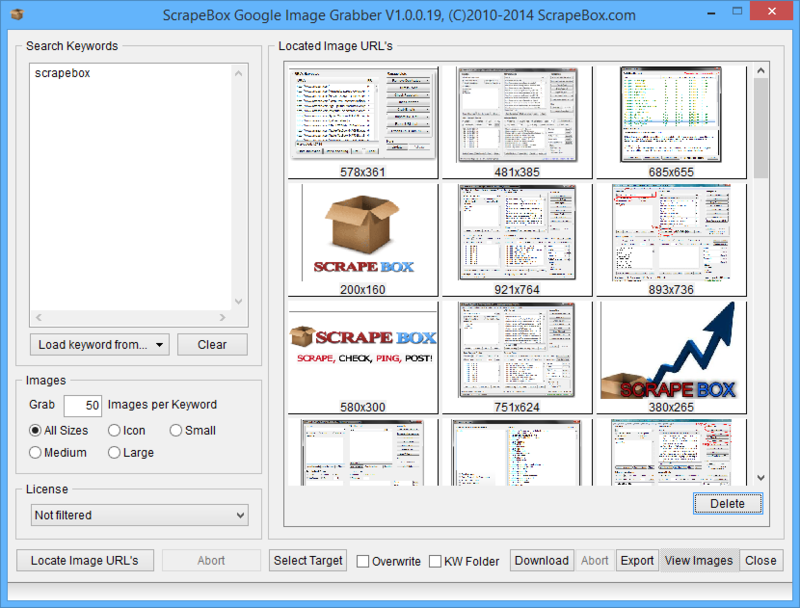 Scrape and download images from Google Images based on keywords, size and license types. 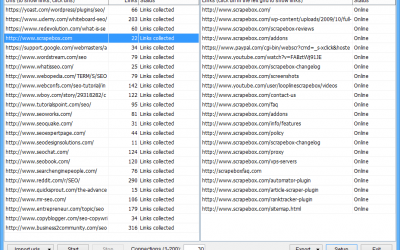 Convert that big list of long URL’s in to short or tiny URL’s, even add your own custom URL sources. 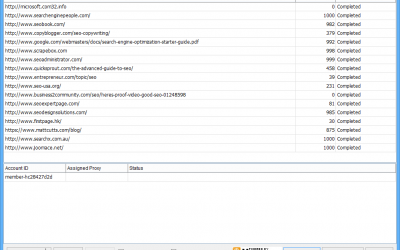 Bulk check the page authority, domain authority, and Moz rank for a list of URL’s or domains. 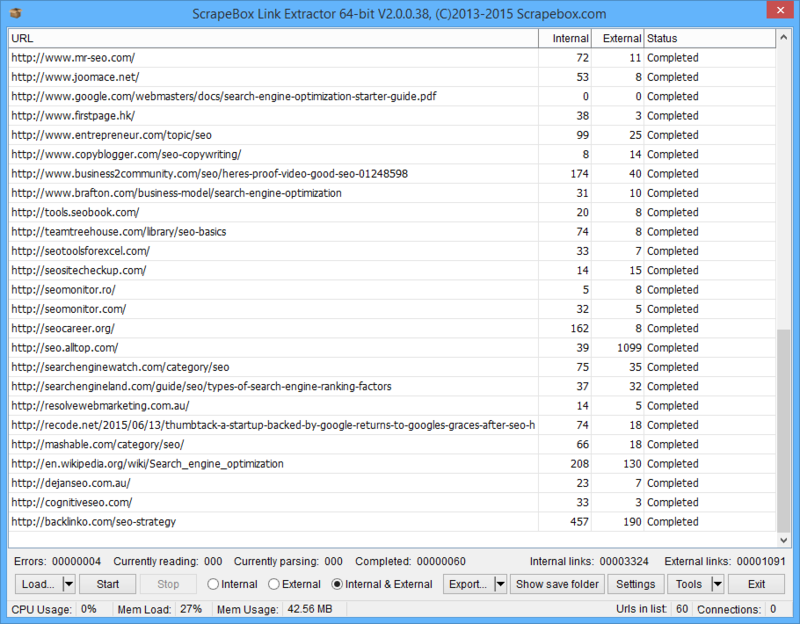 Extract both internal and external links from websites, apply numerous filters with Excel export. 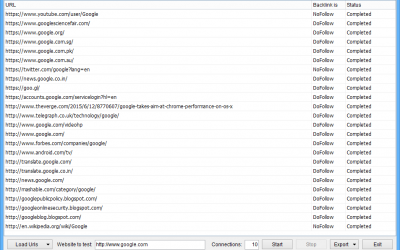 Mass test URL’s and Websites for mobile device compatibility and get exact scores of each mobile attribute. 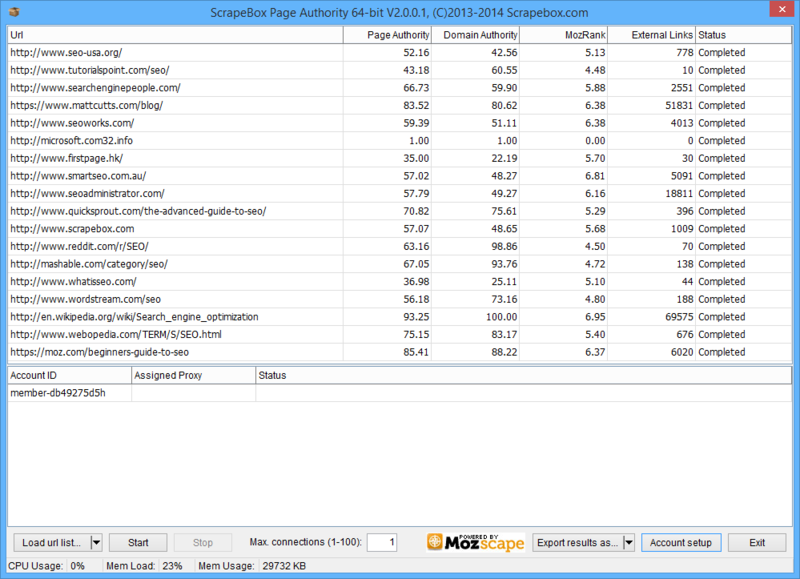 Scan web pages and locate specific text, html, images and other information for thousands of URL’s. 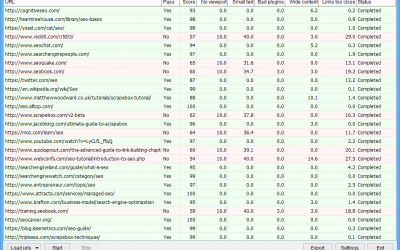 Not Done Yet… Still More! 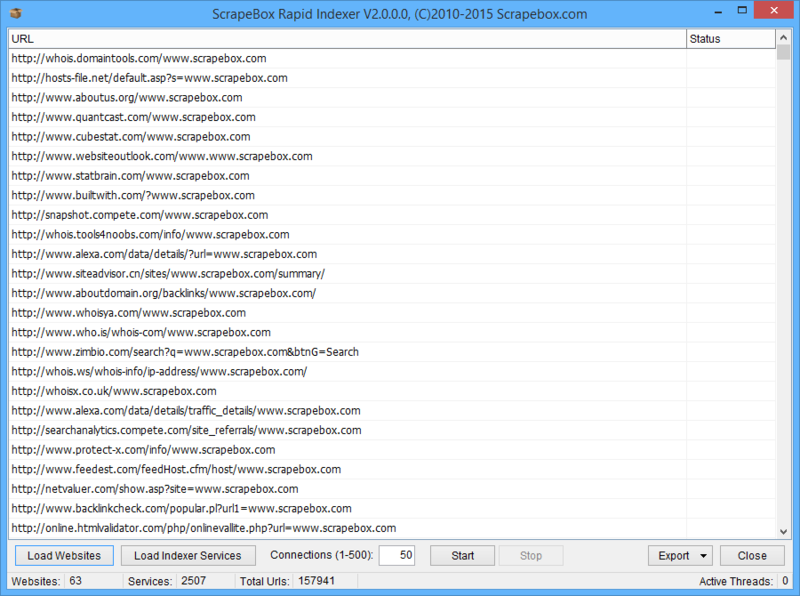 Rapidly index new web pages or backlinks with the click of a button with the Rapid Indexer Addon. 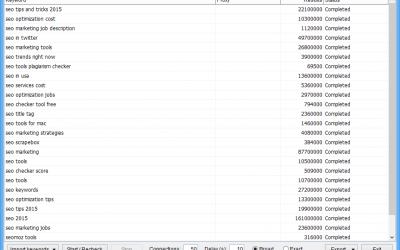 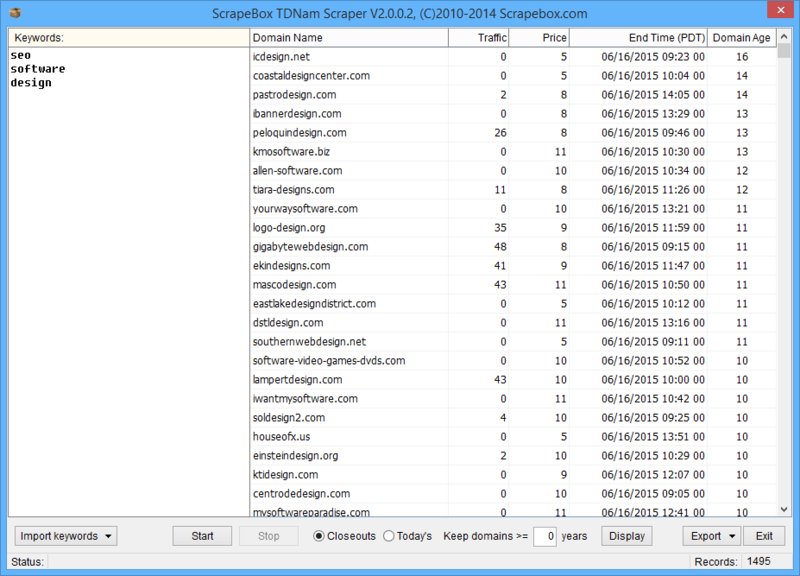 Get aged and PageRank domains for peanuts by using the TDNAM cloesout auctions scraper addon. 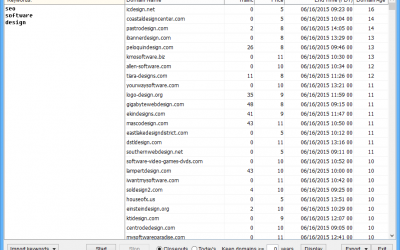 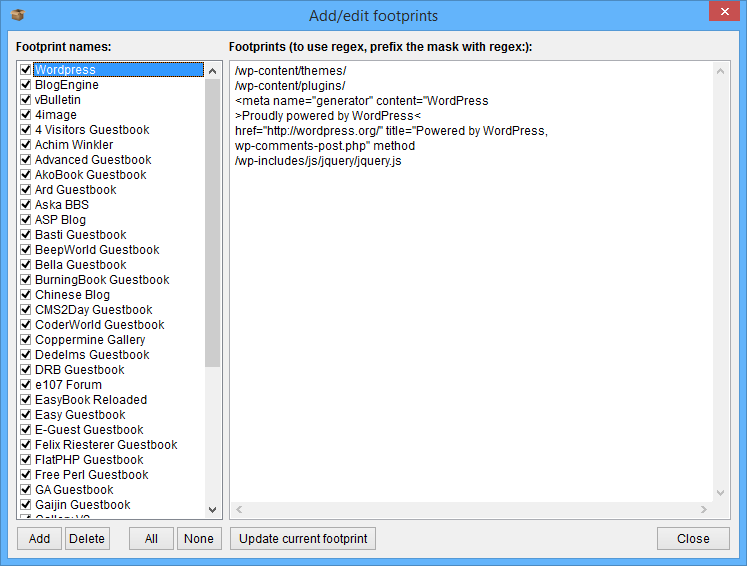 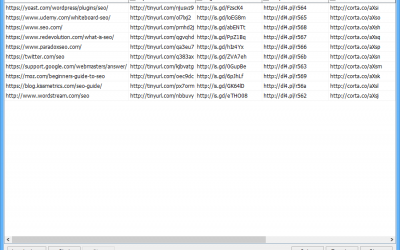 Remove duplicate domains and duplicate URL’s, split large files, merge lists with this free addon. 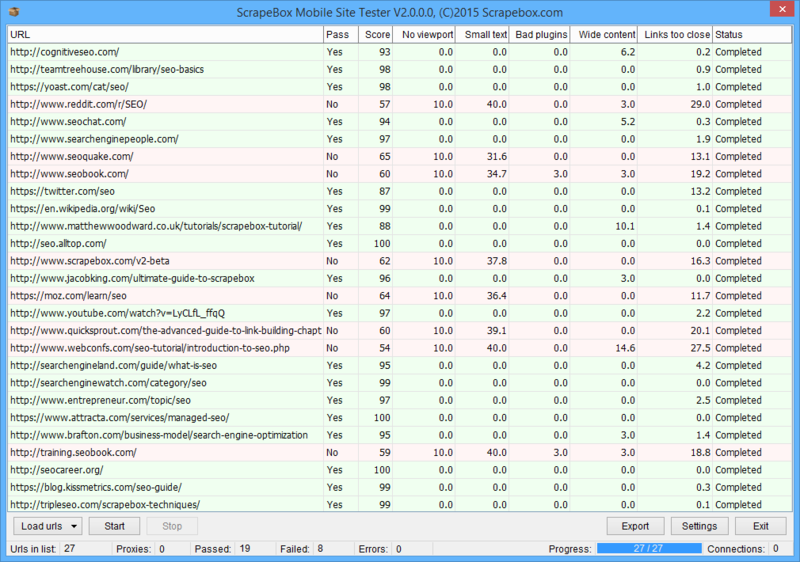 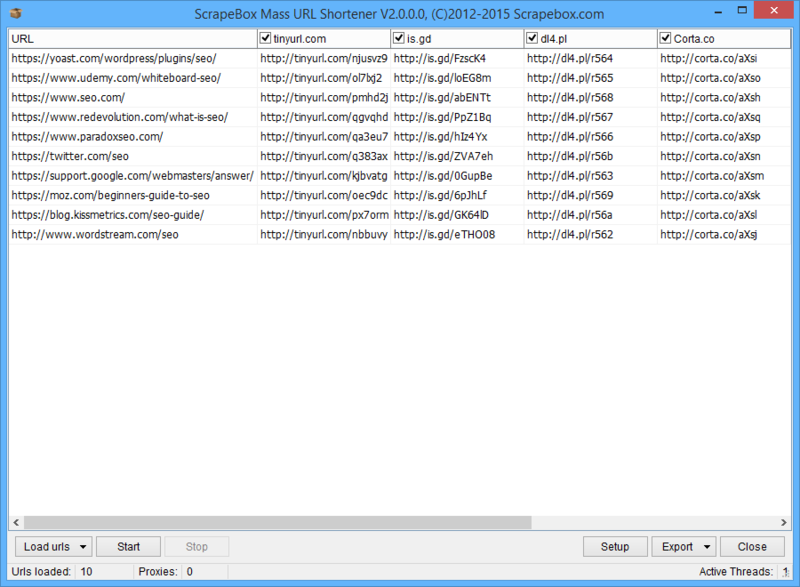 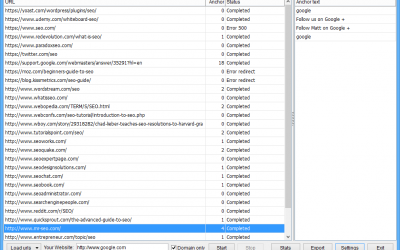 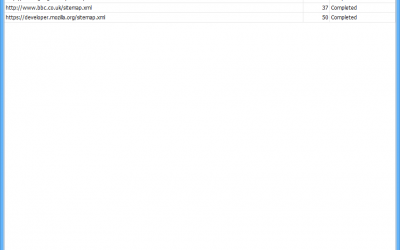 Scrape all the URL’s from websites using the Sitemap Scraper, included with the ability to do deep crawls. 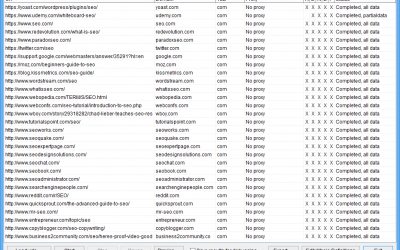 Check to see what vanity names are taken or available from a large number of Web 2.0 sites. 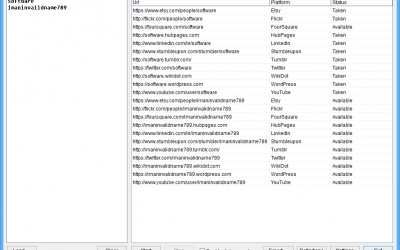 Mass check all your backlinks and analyze which are nofollow and which are dofollow with this free tool. 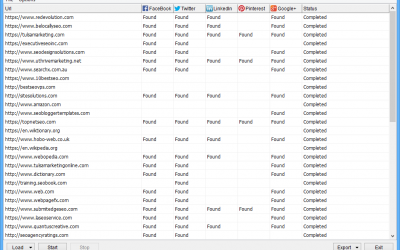 Bulk check the social metrics for websites such as FaceBook Likes, Tweets, Pinterest and more. 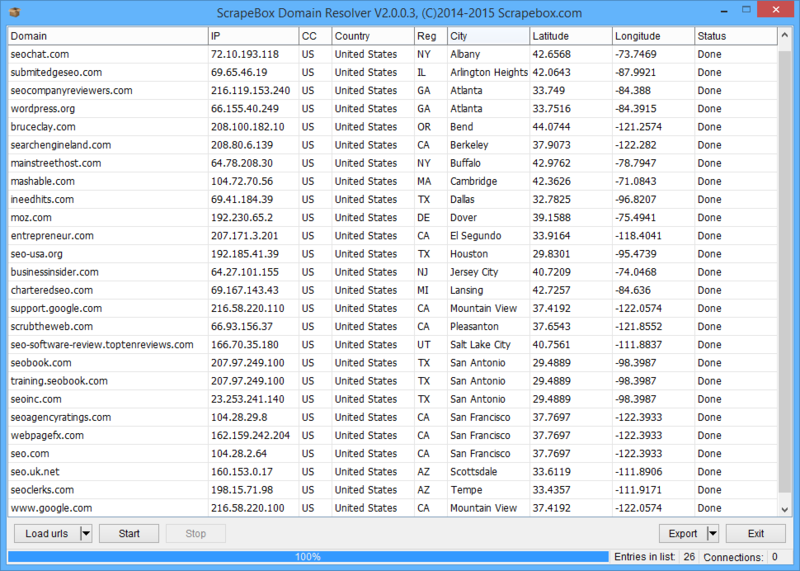 Perform bulk whois lookups and scrape emails, phone numbers, names and domain owners details. 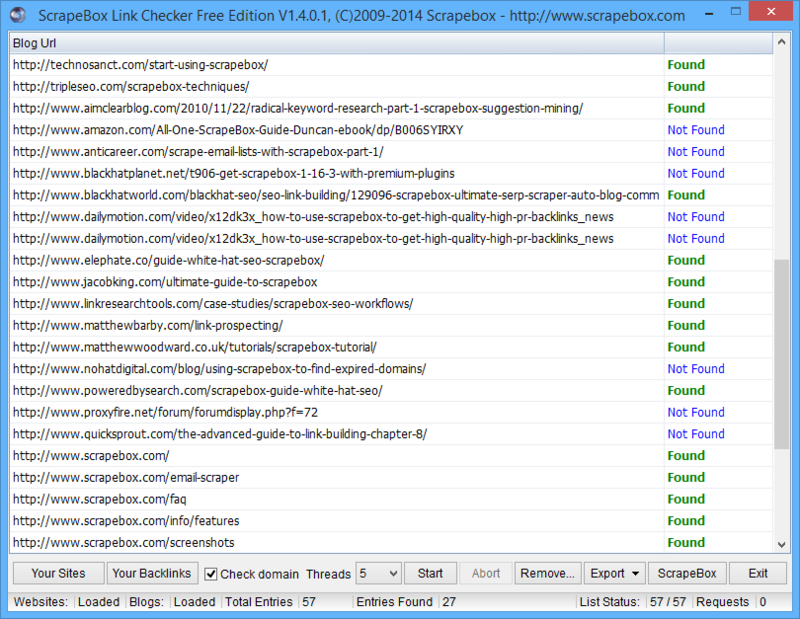 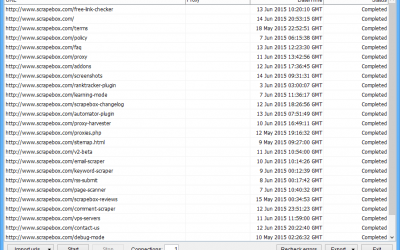 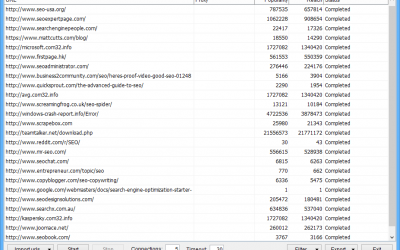 See if your backlinks exist on web pages by bulk scanning them with the free link checker tool. 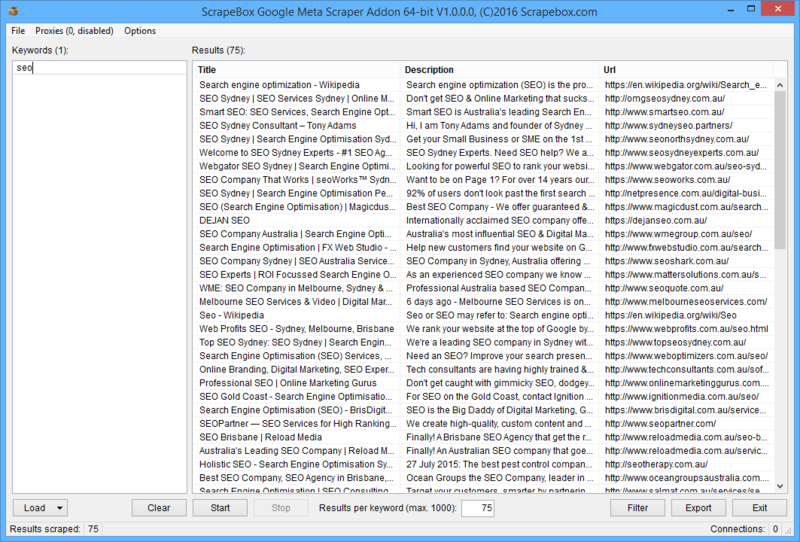 Scrape the Title, Description and URL’s returned in the Google search results for multiple keywords.